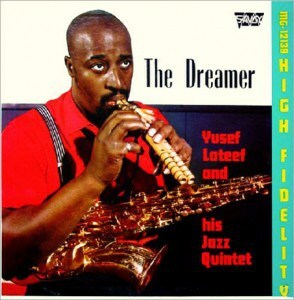 The passing of Al-Hajj Dr. Yusef Abdul Lateef on December 23 in Massachusetts brings to mind the exotic, semi-forgotten influence of Islam on the American music scene in the 1950s, when Islam, and specifically Ahmadiyya Islam, was cool. Lateef was born William Emanuel Huddleston on October 9, 1920, in Chattanooga and grew up in Detroit, where his father changed the family name to Evans. He began as a saxophonist in 1946, then went on to play the flute, oboe, bassoon, and many other instruments. In a very long and important career, he made music with such renowned figures as Cannonball Adderley, Donald Byrd, Dizzy Gillespie, and Charles Mingus. He become one of the first black jazz musicians to associate with Islam, converting in 1948 and changing his name at that time, then twice going on the pilgrimage to Mecca and writing a Ph.D. dissertation in 1975 titled “An Overview of Western and Islamic Education.” As an implicit indication of his piety, from 1980 on he banned alcohol from his performances. Missionaries of the small Ahmadiyya movement out of Pakistan had eye-popping success among leading jazz musicians of the 1950s, converting in addition to Lateef such luminaries as Nuh Alahi, Art Blakey (Abdullah Ibn Buhaina), Fard Daleel, Mustafa Daleel (Oliver Mesheux), Talib Daoud, Ahmad Jamal (Fritz Jones), Muhammad Sadiq, Sahib Shihab (Edmund Gregory), Dakota Staton (Aliya Rabia), and McCoy Tyner (Sulaiman Saud). Superstars whispered to have converted included John Coltrane (who first married a Muslim), Dizzy Gillespie (whose band included several Muslims), Charlie Parker (Abdul Karim), and Pharaoh Sanders (whose work contains Muslim themes). One listing of Muslim jazz players contains about 125 names. These musicians preferred to perform at clubs owned by fellow Muslims, many of whom hailed from the Caribbean. Nigeria is often depicted as being split between Muslims and Christians. But in Adamawa, where a state of emergency was declared to counter an Islamist insurgency, members of both faiths celebrate Christmas together. is eager to greet him. The two meet frequently to discuss everyday life in northern Nigeria. They talk about their families and politics. But today Padio has a particular request. “You really must celebrate Christmas with us. You are most cordially invited,” Padio tells his neighbor. Sani nods. “The past two years, I wasn’t in Yola over Christmas so we couldn’t celebrate together. I’m glad it will work out this year,” he said. Yola is the capital of Adamawa state in north-eastern Nigeria. It is one of the three states in which a state of emergency was declared in May 2013. This is because the state is at the focus of terrorist activities by the militant Islamist sect Boko Haram. They attack villages and kill Christians or students of “western” schools. Muhammad Sani and his entire family are Muslim. Nevertheless, he thinks it is important to join his Christian neighbors and friends when they celebrate Christmas. “We enjoy celebrating together,” Sani said. “On Christmas Day, my neighbors always give me food – cookies, chicken and rice,” he added with a chuckle. “During the Muslim festivals, we also do the same and invite the Christians,” he explained. 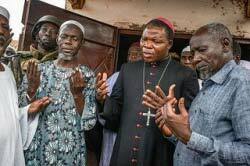 BANGUI – As sectarian violence rips Central Africa Republic, some regions in the capital Bangui remain as oases for coexistence and hope for an inclusive future for Muslims and Christians in the war-torn country. “Here, we have a mixture of populations that do not exist in other areas,” Bash, a 28-year-old Muslim resident who wished to be identified only by his nickname for security reasons, told France 24 on Tuesday, December 17. As Bangui descends into chaos with the recent wave of religious conflict, areas Boulata and Ramandji neighborhoods were still save from divisions. The neighborhoods, where a mixed population of Christians and Muslims co-habit, have remained calm over the past months. “We grew up together, people have intermarried,” Bash explained. “Here, you can find a child with a Muslim name in a Christian home because the father is Muslim,” he added. At least 450 have been killed and hundreds more injured since the beginning of December when Christian militias, loyal to the CAR’s ousted President Francois Bozize, launched multiple attacks from the north, according to the UN humanitarian office. The country has been thrown into violence after President Michel Djotodia declared himself the country’s first Muslim leader after ousting Bozize on March 24. 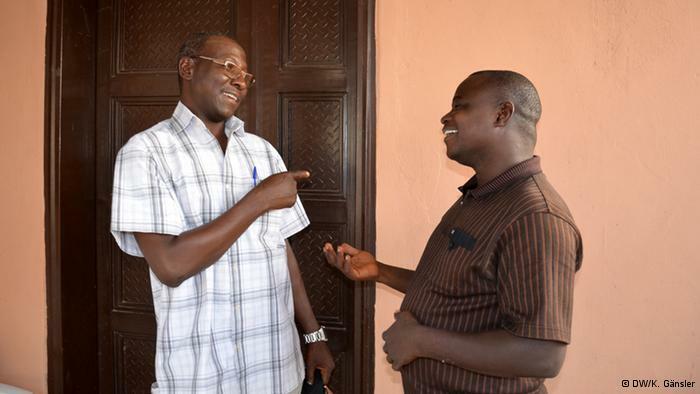 Taking the helms of power, Djotodia has struggled to rein in members of the now-dissolved Seleka group that swept him to power nine months ago. According to news reports, rogue former rebels turned warlords have set up little fiefdoms and sown terror in villages. The Washington Post has produced six massively detailed maps showing the religious make-up of America. The main map is above – if you want to enlarge it you’ll have to click through to the Post’s report here. 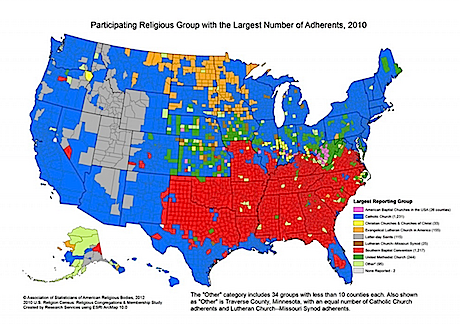 The author/analyst, Niraj Chokshi, has uncovered some fascinating material – most of it lurking in the 2010 US Religion Census (data submitted by congregations, not the official US Census) but so much more surprising set out in map form. And here’s an example. 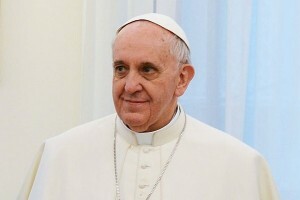 ROME – The pope met with the head of an international Islamic organization on Friday, a meeting that was characterized as the first-ever for the group. According to Rome Reports, the two exchanged gifts following the talks, with Ihsanoglu donating a 14th century publication–presumably Islamic–to the Vatican library, and Pope Francis giving Ihsanoglu and his entourage his papal medallion. The pope then asked the men for their prayers and posed for photographs. ZAMBOANGA CITY – Christian residents of this city’s Santa Catalina district found nothing unusual about Muslims bearing carpenters’ tools — until they realized the Muslims had volunteered to help rebuild a Catholic chapel. “We thought they were just looking for damaged mosques to rebuild,” said Jimmy Villaflores, Santa Catalina barangay (village) head. But to the surprise of the mostly Christian residents, the Muslims, a number of them residents Zamboanga City who returned home from abroad recently, announced they had come to Santa Catalina to rebuild the Christ the King chapel. 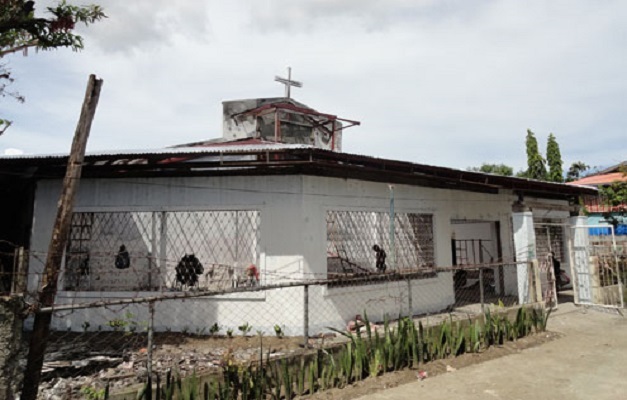 Built in the early 1980′s, the chapel on Martha Drive was razed by one of many fires t6hat broke out during a three-week battle between government forces and a band of Moro National Liberation Front guerrillas loyal to MNLF founder Nur Misuari last September. When the fighting ended, only the chapel’s back wall and altar were left. The 100-year-old wooden image of the Christ the King, which was regularly used in major religious processions here, did not survive the flames. “We have not heard of any Muslim helping build a chapel before,” Villaflores said. But before the Christians could say anything to the Muslims, they went to work, sawing lumber, driving in nails and doing other things to rebuild the chapel. “We are very happy about it. Santa Catalina residents are deeply touched by their efforts. We really appreciate how our Muslim brothers and sisters are helping us,” Villaflores said. He said that the help extended by Zamboanga’s Muslim residents, who suffered equally during the three-week siege, hastgened the rebuilding of the chapel. “Barely a month since the work began our chapel is about 90 percent completed already,” he said. Father Michael Ufana of the Saint Joseph parish said he was overwhelmed by what the Muslims had shown. 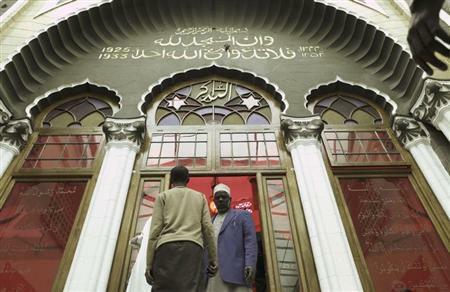 The government of Angola has denied that it is engaged in the process of ‘banning’ Islam from within its borders. “There is no war in Angola against Islam or any other religion,” said Manuel Fernando, director of the National Institute for Religious Affairs, a division of the ministry of culture. There has been some confusion over the original breaking of the news story, specifically, the central quote from President José Eduardo dos Santos proclaiming “the end of Islamic influence in Angola”. The President was allegedly out of the country when the quote was reported. A photograph supposedly depicting the destruction of a mosque somewhere in Angola has been debunked, after being found elsewhere cited as the destruction of Bedoin houses in Israel in 2008 and as a Moroccan mosque and houses in 2003.